Today is a public holiday in Japan. It's called the Seijin No Hi, which is translated in English as the Coming Of Age Day. On this day, anyone turning 20 will be invited to attend a ceremony celebrating their adulthood. And then most of them will take this long-awaited opportunity to get drunk (it's also the minimum legal age to smoke and vote). I wasn't aware of this (I knew it was a holiday, but I didn't know why) until I received this tweet from Neil Duckett. 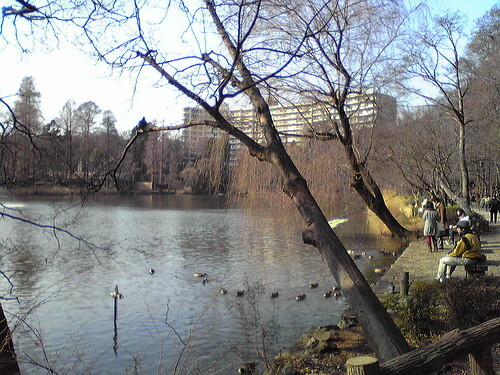 So when I went out, there were indeed some young women wearing kimono, and the guys were wearing suits, but because most males in Tokyo wear suits, I couldn't tell which ones were the ones celebrating Seijin No Hi. Unfortunately, there will not be any photos of cute young women in kimono because I was resuming my location hunt today with my Maiko the Producer and Jo the Cinematographer after our failure to find a good park yesterday. 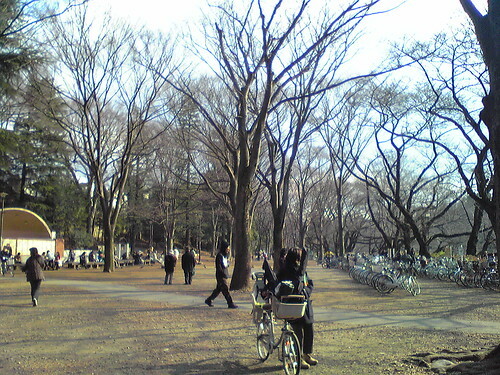 I was excitedly leading everyone to Ueno Park after seeing how beautiful it was during the end of autumn. Unfortunately, winter had actually turned this place into a pale shadow of itself. So I decided to leave the location hunting to the other folks, since... well, they're Japanese and they probably know the place much better than I do. 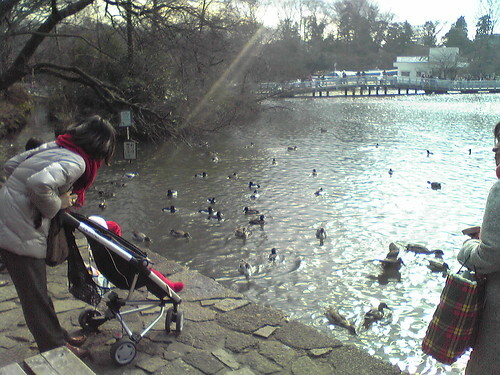 And so Maiko the Producer recommended the Inokashira Park. An interesting place filled with musicians and performers, and even a flea market. 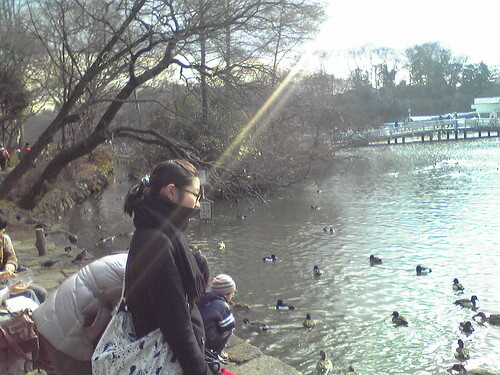 Although Maiko told me that you can only see the latter on weekends and holidays. 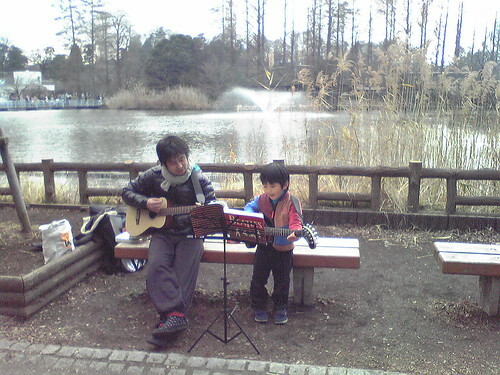 I saw a little kid performing a Beatles' song with his dad. 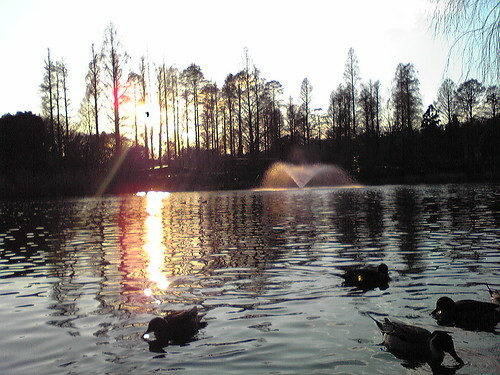 For me, the defining characteristic of the park is its pond, the Inokashira Pond. 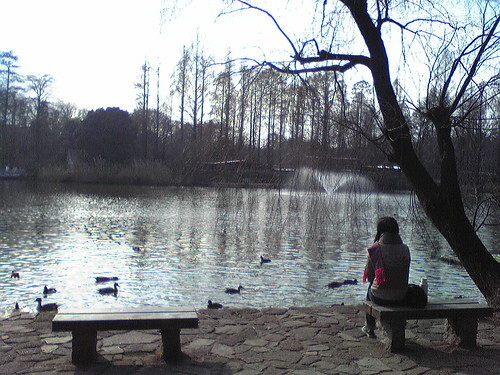 One section of the pond is particularly popular for the ducks. 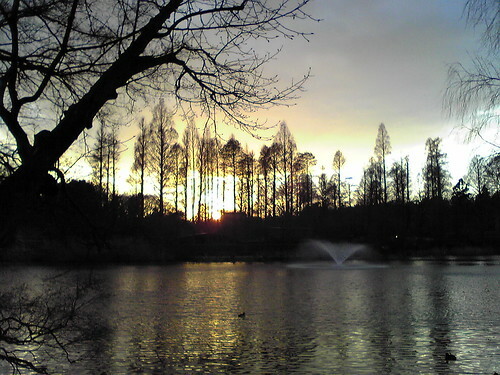 I was immediately in love with the park, but was curious to see how it would look like during the sunset. 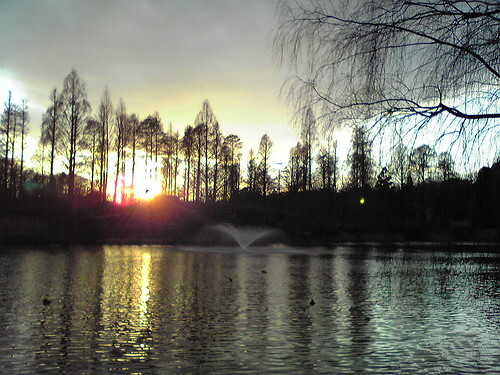 Fortunately, the sun sets around 4:30pm, so we don't really have to wait that long. 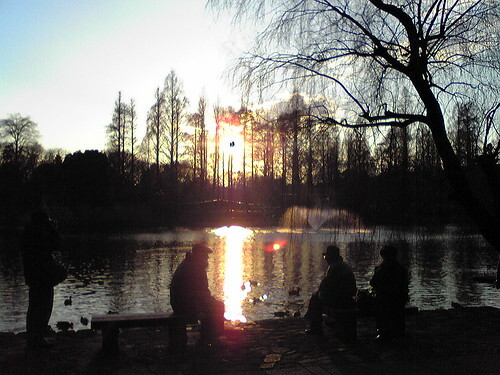 There was a trio of old men sitting at the bench, chatting happily and watching the sunset, leaving only when the sun was gone. I didn't have to think for long. We will definitely shoot my film here next week.